Construction began in the late summer and into the early autumn of 2009 on an outdoor rink in North River next to the community hall. The rink is 50 feet by 100 feet. 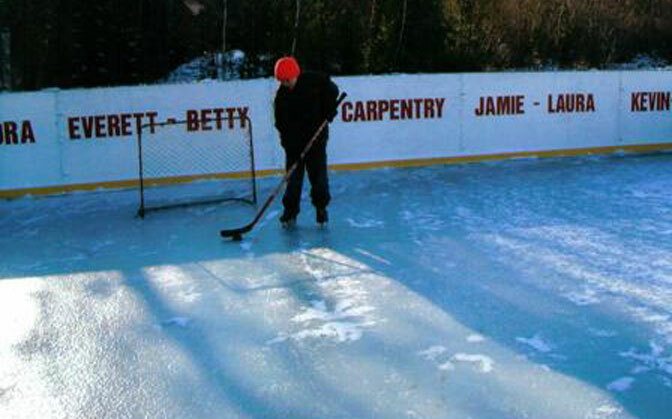 The rinks surrounding boards were all hand pained and sponsored by members of the community and local business. As the weather turns cold enough to make ice there will be winter skating in North River.